Don’t let the dark side of silver get you down. 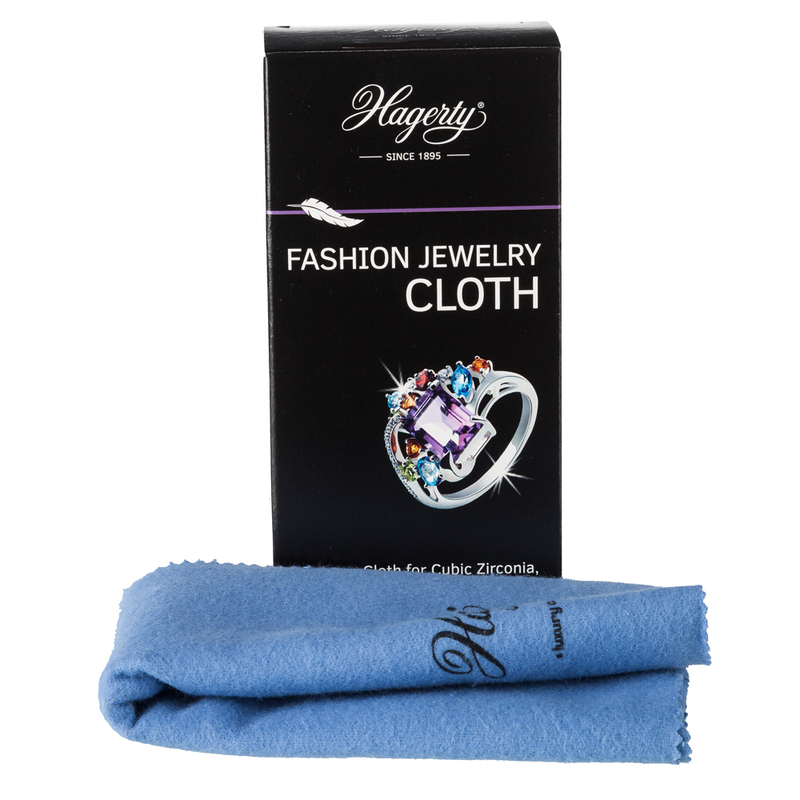 Hagerty’s Fashion Jewellery Cleaning Cloth is the easy way to keep your most treasured rings and and pendants sparkling and residue free from day to day. An easy to use impregnated cotton cleaning cloth that cleans and refurbishes for a perfect shine. Suitable for cubic zirconia, crystal and glass. Dimensions: 36cm (l) x 30cm (h).